When we drift, we most likely will experience some sort of spiritual crisis. No matter where we may find ourselves in such a painful season as this, we must always remember God’s love for us never changes. His love is perfect and completely independent of our humanity. As we turn back to Him, we may find there are consequences for stepping out of His will. However, as believers, we can take comfort that there is never an eternal penalty for our sin. The Lord is always mighty to cover us with His comfort, grace, and mercy. And, He alone is the sustainer of our soul and spirit. When we repent and draw near to The Father, He offers forgiveness, restoration and spiritual renewal. 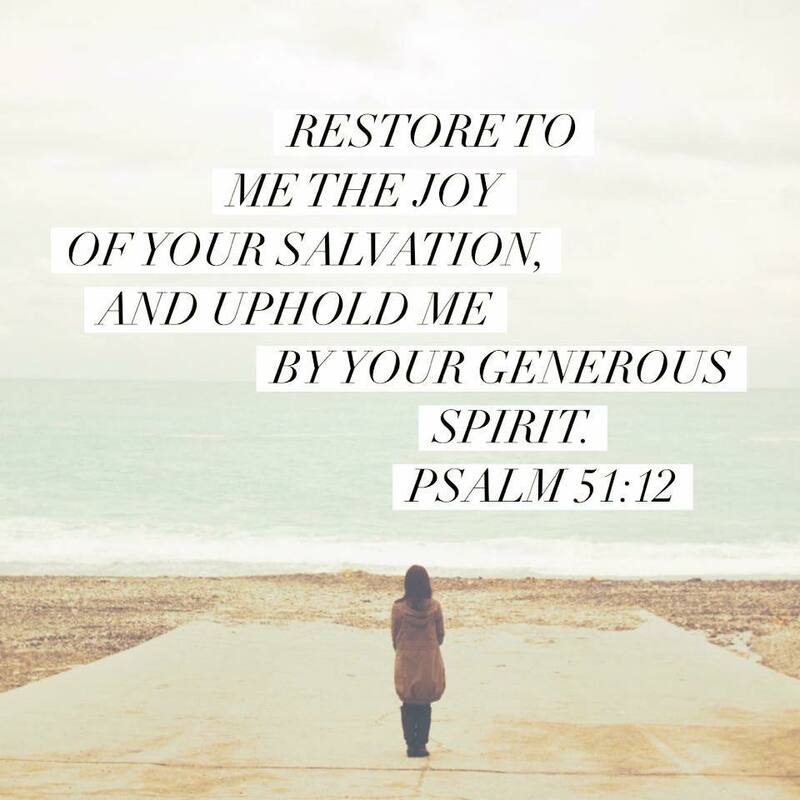 And regardless of the circumstances, He can repurpose our pain. He will equip us to realign our lives with His will, all for His glory. We must have faith and trust Him...as we wait for Him to generously return us to joy of our salvation. Wash me thoroughly from my iniquity And cleanse me from my sin. So he got up and went to his father. But while he was still in the distance, his father saw him and was filled with compassion. He ran to his son, embraced him, and kissed him.